Florals, and sports, and colours, oh my! As an indecisive person, I can never stay set on my favourite spring trend to wear. So why decide? Why not wear them all at once instead? One trend that has been around for a few seasons now is florals. They're pretty and typically feminine. But somewhere along the line of our re-ignited obsession with the 90s, styling florals to be more edgy came into play. Which ties in really nicely with the athletic trend. I'd also like to distinguish that the athletic trend is really "athletic-inspired". Walking around in yoga pants and a varsity team hoodie doesn't count as fashion. But when you're borrowing from those ideas with graphic print t-shirts and baseball caps. And bright colours are always in style for spring. Always. Sure, certain colours are more popular than others during different years, but you can never go wrong with a pop of colour after a dreary winter. So I've put together this set that showcases how you can throw the floral, sporty, and bright trends together. The great thing about a plain t-shirt with some simple text is that it can be paired with any floral pattern. Layering this look with a light denim jacket really ties the look together by adding a bit of edginess to the florals while maintaining a pretty vintage quality. Then, just add a colourful bag or clutch for some spring cheerfulness and grab a pair of floral sunnies. Finally, slip on your favourite pair of plain sneakers to top off the athletic look. And there you go- a great look to go exploring around town, and with sensible shoes. Hourray for no more arch-killing heels! I love everything floral printed ! Love the denim jacket! Thanks for sharing!! I would definitely wear this entire ensemble! I love the grunged up floral motif! I love mixing trends. Florals are definitely a favorite of mine too. That floral skirt is so pretty. I love the skirt and denim jacket! The bag is nice. I love the color. Oooh that floral skirt...so pretty! And yeah, I guess I feel a bit guilty to post old photos, but since I already disclaimed that, I don't feel too bad. They're still a valid presentation of what my style is like, despite what color my hair may be. wonderful way to mix all of these trends! especially loving the floral sunnies & that adorable jean jacket. I love this outfit you have put together! Nice skirt! Hey, mind checking out my blog? I would appreciate it ★ Your blog is totally fetch! It's so addicting to come back for new post. Hello there! Thank you for your lovely visit, and comment! Oh myyy, your post! I love how you matched the prints and colors! It's gonna be such a trend for this Spring/Summer! 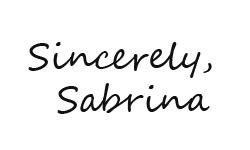 Love all the picks, Sabrina! Especially that emerald clutch and those sunnies! This skirt is beautiful! Loveee this outfit!